Rubia Jewel Fowler, 89, of Lake Butler, FL passed away on October 8, 2017. Rubia was born was to the late James and Emma Mangum in Craighead County, Arkansas. She loved singing and to shop. Rubia especially enjoyed reading her Bible. 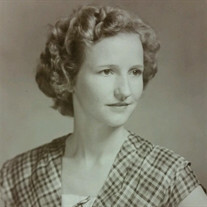 She is preceded in death by her husband of 50 years, Glen E. Fowler Jr. Two sons; William Dale Fowler and Barry Dwight Fowler. Three sisters; Myrtle Mangum, Dolly Inman, and Opal Hubbard. Six brothers; Rubin "Buddy" Mangum, Ernest Mangum, Jack Mangum, Otis Mangum, Sonny Mangum, Buford Mangum. Rubia is survived by her daughter, Angela Tomerlin. Rubia's memory will be cherished by all who knew her.